Spotted at Ingliston, one possible solution to the nation's housing crisis perhaps. What could have prompted such unhospitable and extreme action? 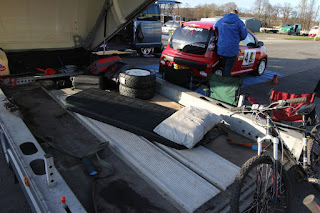 A team member's late arrival and no room in the camper? The ideal remedy for someone in the family who snores or had too much red wine at the previous night's post-scrutineering barbecue? Or was it simply for someone who hadn't brought a change of socks? On the other hand, it might have been for someone out on the curry and lager the night before and who was suffering from a severial bout of 'aromatic' blanket lifters - just try lifting the blanket on this bed! Whatever, no-one was saying owt about it, allowing imaginations to run riot. 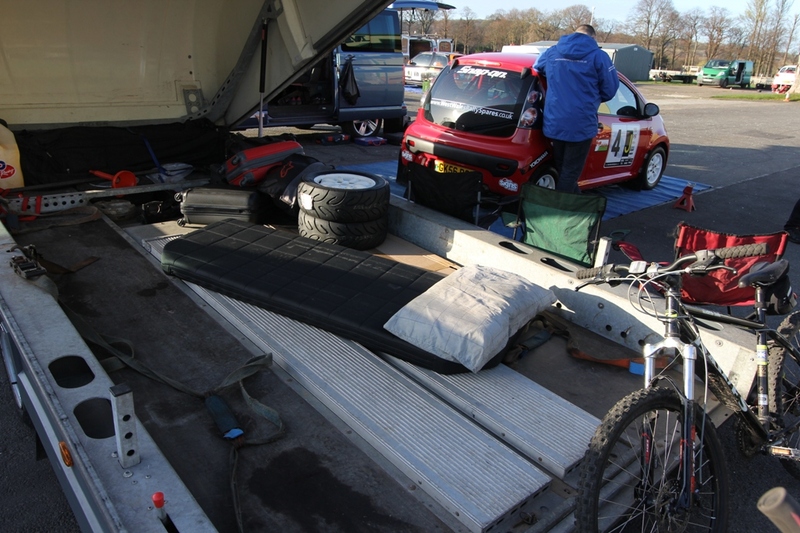 Full report from the DDC Stages will appear shortly.